Since I am dedicating this week to putting a dent in my wool stash, I thought it would make sense to start with coffee cozies. 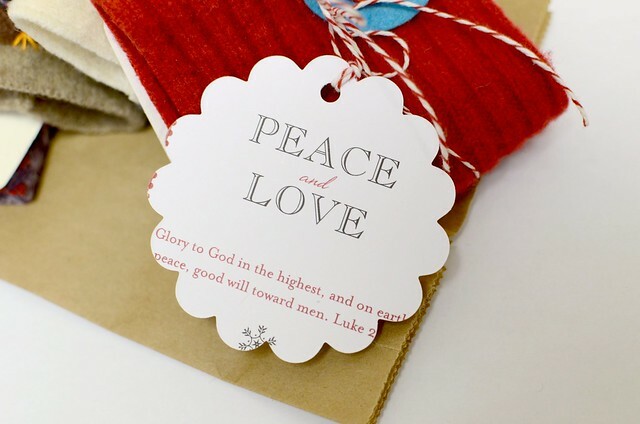 Christmas Card Tags I made from our Christmas cards last year. Doesn't everything look cuter when wrapped in some festive twine? 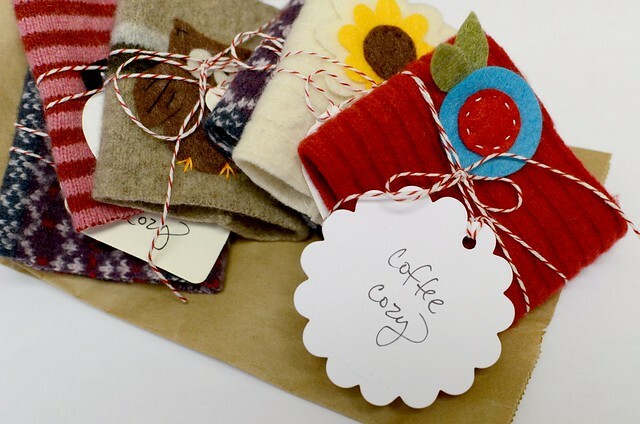 In case you are new to the blog, here's How to Felt a Wool Sweater and my Felted Wool Coffee Cozy Tutorial. I have a brand new project to share with you tomorrow.